Whether you are a casual vacationer, an adventure seeker, or a bucket list explorer, there’s a good chance Antarctica has piqued your interest. You might want to set foot on all seven continents, spend a week immersed in penguin colonies, or visit one of the most remote spots on the planet. 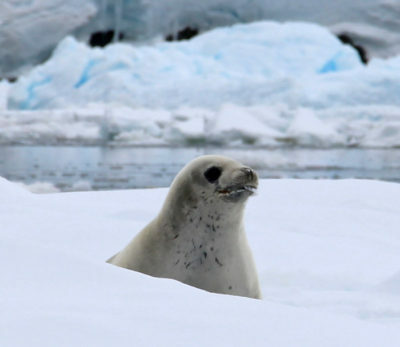 To plan an Antarctica cruise is to plan a dream trip, and for those who make the journey it will likely be one of the most challenging, expensive journeys you undertake. It will also be one of the most memorable, most interesting, and most worthwhile vacations you will ever experience. If you’re hoping to replace your “maybe someday” with “remember when,” this guide is for you! 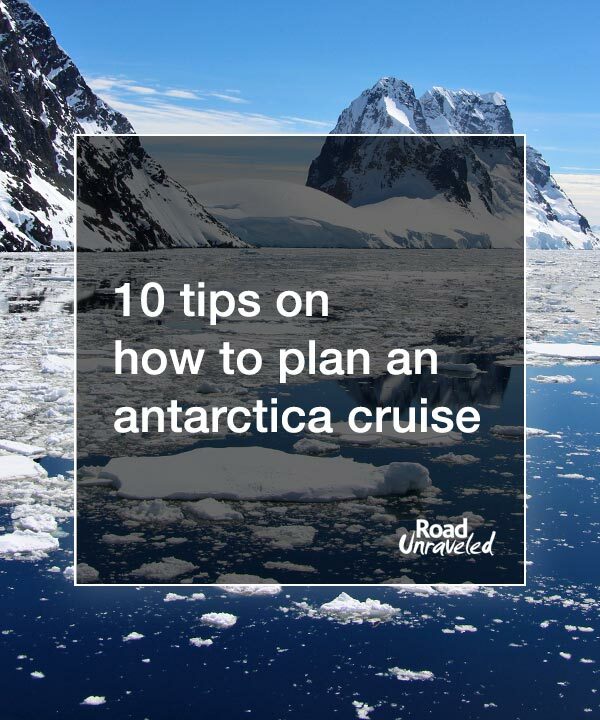 From planning to budgeting to preparing for your time on the ship, this guide provides ten tips on how to plan an Antarctica cruise will help you get ready for the vacation of a lifetime. 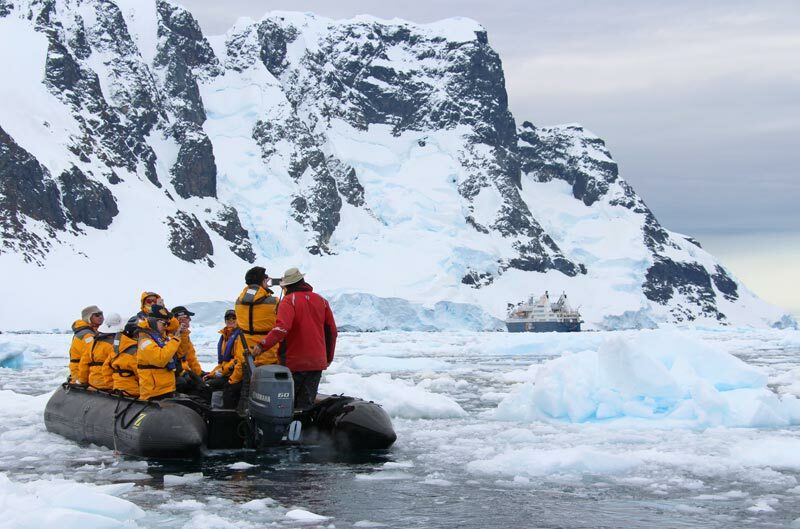 If you want to visit Antarctica you will almost certainly go by boat, and there are a number of expedition cruises provided by several well-known, well-respected companies. However, not all cruise experiences will be the same: some options are limited by company or time of year, so ask yourself a few questions before you begin to plan for your cruise. What kind of experience do you want? Are you a luxury traveler who won’t be satisfied unless you have a large, updated suite or a balcony? Are you willing to compromise space or privacy and share a cabin with an assigned roommate or two to save money? If you want a high-end experience, there will likely be an expensive price tag associated with it. If you are OK bunking with a roommate (or two—or three) you can sometimes find great deals that make Antarctica much more affordable. Do you want to kayak, camp, or ski? Those activities are not offered by every company, and they are not available at all times during the season. If any specific activity is critical to how you want to experience the continent, you may be limited to just a month or two during Antarctica’s tourist season. Where do you want to go? While it’s not possible to know exactly what your itinerary will include because of changing ice conditions and weather, you will have a few options. 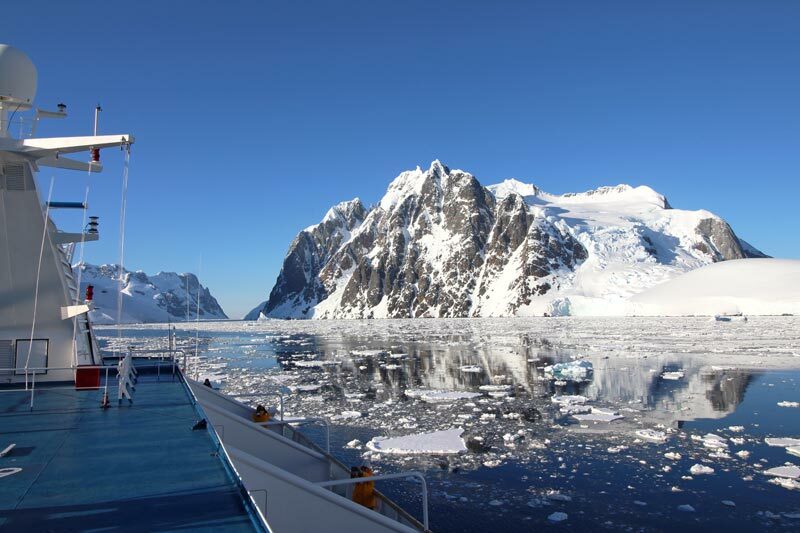 Shorter cruises (10-12 days) will visit the tip of the Antarctic peninsula and surrounding islands, and longer cruises may cross the Antarctic circle. If location is of importance to you, it’s a good idea to know some general places that you would like to see. As you research tour operators you’ll find this information is very important, as not all cruises visit the same locations. What do you want to see? 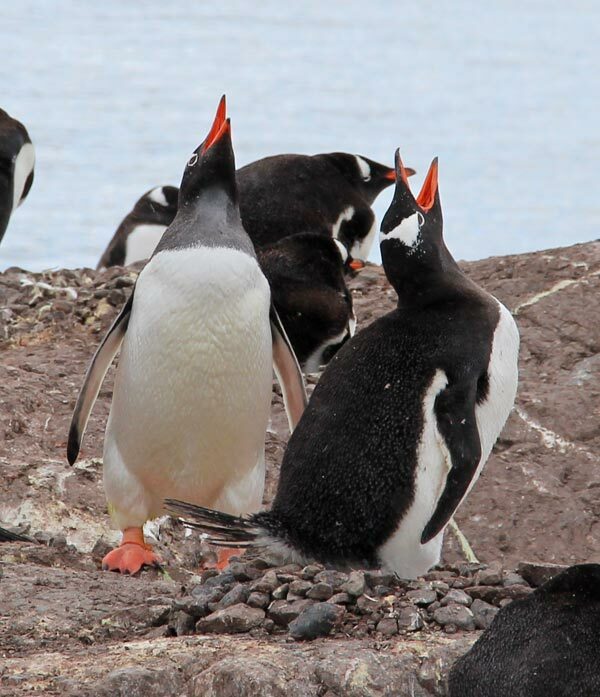 If you want to see penguins nesting or watch baby penguins taking their first steps, you’ll need to carefully time your trip to coincide with when those events occur; that is true for whale watching, seal spotting, and seeking out other animals native to the continent. Taking the time to be honest about the trip you want to have is the most important way to begin to plan an Antarctica cruise. If you find the experience and activities don’t matter to you, you’ll have more options than if you are selective. However, if a balcony suite and days of kayaking through the ice are an important part of your Antarctica dream, save your money until you find a cruise that accommodates your wish list. Write down the items that are most important to you so you’ll have those details available when you’re ready to book your trip. 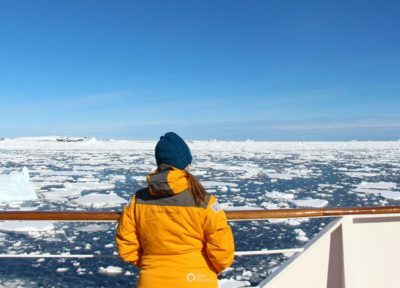 When it comes to how you plan an Antarctica cruise, research is just as important as it would be for any other domestic or international vacation. Instead of focusing on hotels, restaurants, and tours, your focus should be on tour operators and travel agents. The size of the ship. 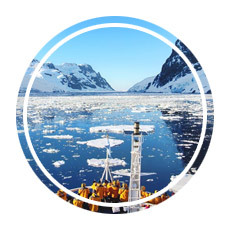 Antarctica cruise operators are part of the International Association of Antarctica Tour Operators (IAATO), and they must comply with IAATO’s guidelines. No more than 100 people can set foot on the continent at any time, so if your ship has more than 100 people your time on land may be limited as guests take turns. If a ship has more than 500 passengers, it is deemed a cruise-only voyage and will not be authorized to land at all—a major issue if landing is part of your plan. Amenities on board. Some voyages will offer spa experiences, a gym, and happy or social hours. Most voyages will offer lectures and presentations by qualified researchers and academics who can help you make sense of what you are seeing. Knowing what amenities are available from each tour operator will help you to ensure you will get the experience you want. 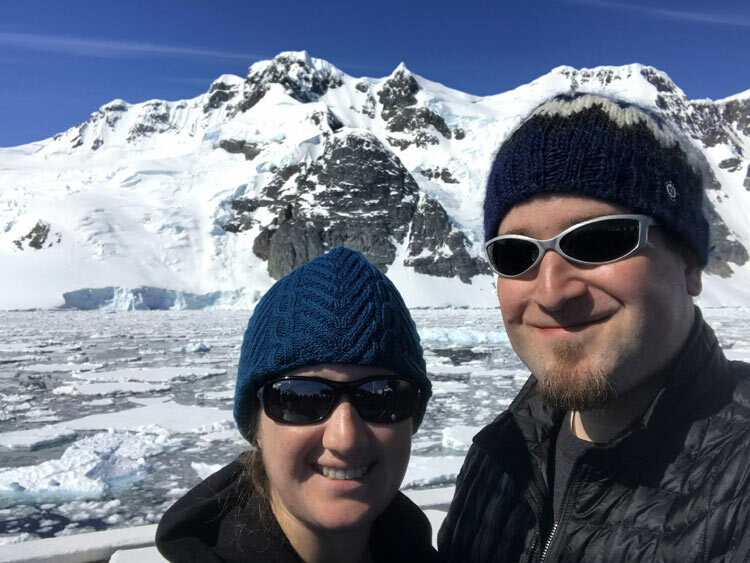 We don’t typically book trips through travel agents, but we made an exception when we decided to plan an Antarctica cruise. 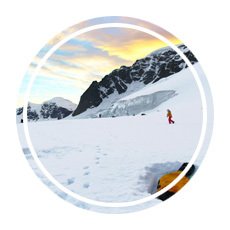 We identified a few companies that specialize in adventure travel staffed by people who have taken cruises to Antarctica. When it came time to book, and as we went through the planning process, the travel agents we worked with were invaluable as they gave us ideas, tips, and things to consider that helped us make the most of our budget and our experience. Although you can book directly with a tour operator, conduct some research on travel agents and talk with one or two of them. They may be able to connect you to better deals than you will find on your own. When you plan an Antarctica cruise, your budget may be the item that gives you the most anxiety. No matter what kind of deal you find you will spend a lot of money on your trip. If you want to take an Antarctic vacation, putting together a savings plan that will help you achieve your financial goal is a great idea. Without ours, we would never have been able to jump on a deal when we found one. If that sounds expensive, you’re right. However, deals are not unheard of, and we have a few tips on how to find them. The reason we went to Antarctica is because I happened to spot an incredible deal when scanning one of the newsletters I received in my inbox: a suite for the price of a quad! I called to confirm the deal wasn’t a typo, and when I found out it was a real price I put down a deposit right away. Deals like that are few and far between, but you’ll miss them all if you don’t sign up for newsletters. Cruises are regularly marked down by 20-40% depending on the time of year, and although cruise operators might not offer the same deals travel agencies will advertise them. December, January, and February are the most popular months to visit Antarctica, and cruises are most expensive during those times. Look at November and March, the shoulder season, when wildlife spotting might be a little harder (although still very possible) and the temperatures will be a bit colder. You’ll be treated to a few things other visitors won’t see, including stunning ice formations and even sunrises and sunsets (which are nonexistent close to December’s solstice!). One common idea that comes up when trying to save money is flying to Ushuaia and booking a cruise at the last minute. 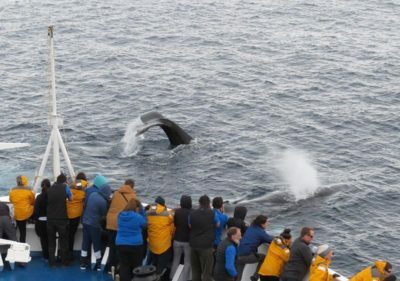 While this can be a great option for backpackers and nomads who might have time to spend waiting for a good deal, if you are traveling for a vacation we do not recommend waiting until you arrive in Ushuaia to book your cruise. The last-minute deals we saw were the same price we paid 18 months in advance, and because the ship will be mostly booked when you arrive you will have far fewer options regarding optional activities, the location of your cabin, or even if you can share a room with a traveling companion. There’s also the possibility that you won’t find a deal at all, which would mean returning home without an Antarctica experience. Since you may not save any money by waiting and the risk of not getting on a cruise is high, book your cruise in advance. 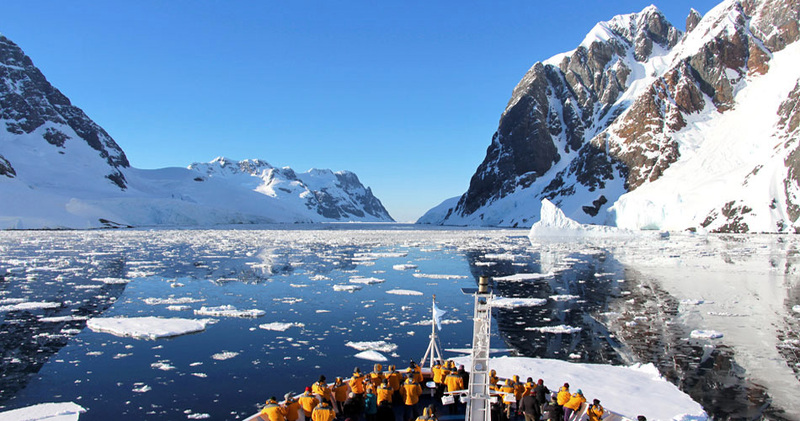 Since waiting until the last minute is risky, when you plan an Antarctica cruise you should book as soon as you possibly can. In addition to cashing in on early booking deals or discounts (if available), you will also have the opportunity to pre-book optional activities like camping or kayaking. We booked our camping trip when we put the deposit down on our cruise, and we were glad we did when we got on the ship. We found out only 60 people were able to camp on the ice at one time, and the excursion was only offered once during the trip. There were dozens of people who wanted to camp but weren’t able to join us because they tried to book too late. We booked our cruise 18 months in advance, which secured our spot, but we didn’t have to pay the full amount right away. We had the option to pay a deposit, and we then had about a year before we had to pay the balance. Although we recommend committing to a cruise only when you have the financial means to do so, some people may find that paying the deposit and having a year to save the rest of the money is a good strategy. However, be aware that if you put down a deposit and are unable to save the rest of the money, your deposit will not be refundable. If you know you have a financial means for a cruise, be sure to lock in a great price with a deposit before any related discounts expire and the price goes up! 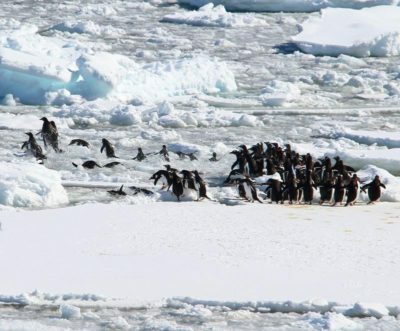 When you plan an Antarctica cruise you will be required to purchase travel insurance. Antarctica is as remote as it gets; if you get sick or injured and need medical attention, you may require a medical evacuation that can cost hundreds of thousands of dollars. In addition, travel insurance can cover a whole host of other issues that might impact your travel such as lost luggage or flight issues—in fact, it was on the way back from Antarctica that we encountered an airline strike that left us stranded in Ushuaia for days, and our insurance company covered all of our expenses. It’s a good idea to purchase a policy from a highly-rated, reputable company with experience insuring adventure travelers. We selected a policy from World Nomads, which offered us a comprehensive policy at a reasonable rate that exceeded our cruise operator’s requirements. Besides, the peace of mind that came from knowing my medical expenses were covered if anything happened during my Polar Plunge into the Southern Ocean made that jump a lot easier! If your Antarctica cruise leaves from Ushuaia, your ship will take you through the infamous Drake Passage. 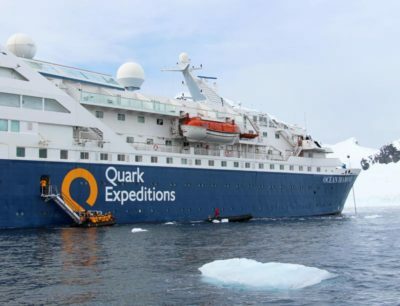 The “Drake Shake” is notorious for leaving passengers nauseous, and plenty of people decide not to plan an Antarctica cruise just because they don’t want to spend two days battling seasickness on the way to the continent and again on the way back to Argentina. If you know seasickness is a challenge for you you’ll undoubtedly pack the remedies that work best for you, but if you’re not sure how the rough seas might affect you it’s best to prepare anyway. Talk with your doctor before your trip and get a prescription if you can; prescription-strength seasickness medication is not widely available in Ushuaia for tourists. Alternatively, pick up some Dramamine or ginger before your trip and take them before the seas start to get bumpy. Many cruise physicians will have seasickness medication available as a last resort, but if you don’t have medicine of your own don’t wait until you start to feel sick before requesting it—once you feel sick, medicine might not make you feel well again until you reach calmer seas. We also used seasickness bands—cloth wristbands with plastic knobs that push onto a pressure point—and found them to work well for us, and they may be a nice option to consider in addition to or in place of medication. On the way back to Ushuaia I wore the wristbands and avoided medication altogether, and I didn’t have any issues despite some pretty high waves. If you spend thousands of dollars, months of planning, and weeks of vacation time to visit Antarctica, don’t cut it close when scheduling your arrival flight. If you find yourself facing flight delays or cancellations on your way to Ushuaia your ship will not wait for you! Consider arriving a day or two before your cruise departs to ensure you don’t encounter a roadblock that might keep you from arriving in Ushuaia. When you plan an Antarctica cruise it’s important to know a little bit about Ushuaia before you go. Ushuaia is the southernmost city in the world, and it is located on an island which limits your options for reaching it. There are limited flights each day, and although it is possible to arrive after a 36-hour bus ride from Buenos Aires, you won’t have time to make the journey by road if you miss a flight or get delayed. Although we didn’t have trouble getting to Ushuaia, our trip home was heavily delayed by a countrywide labor strike that cancelled all flights in Argentina. It was a major inconvenience, sure, but we were grateful to face it on the way back home instead of on the way to our cruise—which is the scenario some incoming guests faced. Don’t take chances with your flights: arrive early! When you plan an Antarctica cruise, it may require you to prepare a bit differently than usual. When visiting such a remote region you’ll encounter a few different challenges that might be new for you. You don’t need to be in perfect physical condition to enjoy your trip to Antarctica, but you should be in good shape. Most excursions can require minimal walking if you’re not up for a long hike, but remember that conditions will be a bit different than you might expect. Anytime you leave the ship you will be wearing several layers of clothing including a heavy parka and waterproof boots, which can add up to twenty pounds of weight in addition to your camera or any other belongings you take with you. Additionally, you’ll be wearing these items as you navigate the continent during landings, which will impact your energy levels. Walking up a moderate hill might not sound so bad to you, but walking up that same hill wearing three layers of clothing and heavy boots will tire you out—especially since that hill is covered in knee-deep snow! You don’t need to physically train for your trip, but it wouldn’t hurt to get into a decent exercise routine to strengthen your tolerance for cardio before you arrive. To plan an Antarctica cruise requires a bit of mental preparation, too. With no cell service and limited access to slow, expensive Wi-Fi on the ship, you’ll need to prepare yourself to completely disconnect for a week or longer depending on the length of your cruise. That may sound easy or even desirable, but plenty of people on our ship struggled when they couldn’t post pictures to Facebook and Instagram—or even let friends and family know they were OK. Take some time to think about the impact disconnecting might have on you before you go! It can feel very isolating at first, but we were happy to find after a couple of days we barely missed social media and were very much living in the moment. 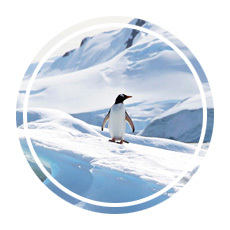 Prepare for your trip to Antarctica by sending your full itinerary to a trusted friend or loved one before you go. Most ships will provide you with an emergency number or email address, and it’s a good idea to share it along with your flight details, hotel information, and other itinerary components with anyone who might need to get ahold of you while you are away. You may also want to confirm when your contact should expect to hear from you for the last time before you go offline when the cruise departs and the earliest—and latest—dates they should expect to hear from you upon your return. I sent a text to my family from the deck of our ship as it undocked and started out to sea to let them know I was officially offline, and I let them know they would hear from me no earlier than 8 AM on our return date and no later than 12 PM the following day due to our flight itinerary. That way they had expectations about when they would know we were back on dry land—and when they would get their first penguin photos! It happens to everyone: you arrive at your vacation destination and realize you forgot something at home. In most places around the world it isn’t a big deal—you can run to the store to replace it—but what about in Antarctica? You won’t find stores on the continent, but most ships have a gift shop where you can purchase anything from base layers to sunblock. You may even want to replace items you remembered to bring if you discover your base layers aren’t warm enough or your socks aren’t thick enough. The gift shop will also sell souvenirs; we waited until our ship was officially in Antarctic waters before buying everything from posters to hats to t-shirts so we could tell people our souvenirs came from Antarctica! 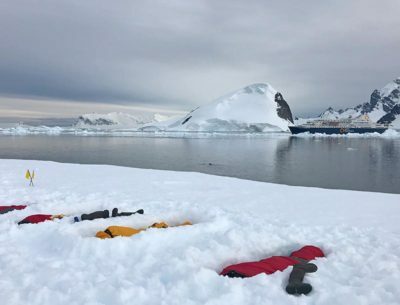 If you’re wondering what you should pack for your Antarctica cruise, we have another full post to help you decide exactly what to bring on your Antarctica vacation! When you plan an Antarctica cruise, it may be one of the most complicated vacations you undertake, but it will be one of the best. For most people who set foot on the continent, Antarctica is a once-in-a-lifetime experience, and it’s worth the time, effort, and money it takes to make your dream a reality. 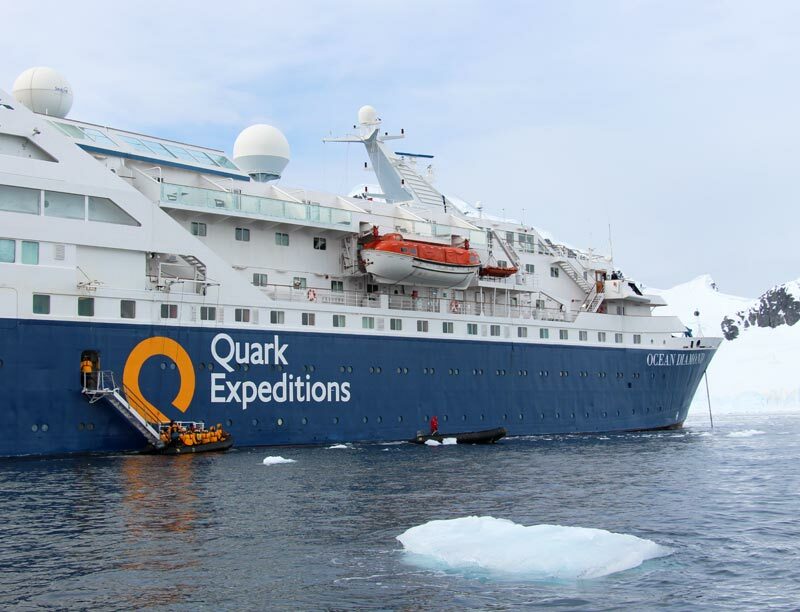 If you’re planning a trip to Antarctica, don’t miss our posts about what you might find on your Antarctica itinerary and the specific cruise experience we had with Quark Expeditions. You might also be interested in our guide to Ushuaia, Argentina and the story of our escape from the end of the world. Get ready for the trip of a lifetime—and let us know what you think of your own Antarctic adventure! If you are planning a trip to Antarctica, don’t miss these articles to help you make the most of your experience!